These Bolshevik communist leaders stole all the gold cups, art and valuables from the churches and from Christians and kept it for themselves. They also stole all the Tsar’s family crown jewels, art and gold and any valuables they could find anywhere in Russia. It wasn’t long before these several top Bolshevik Communist leaders had accrued immense, almost incalculable fortunes and taken their wealth to other nations, such as Switzerland to place in secret, numbered accounts. Now if you think this couldn’t happen in America to American Christians, you had better carefully consider the evidence we are going to present in this four-part series. 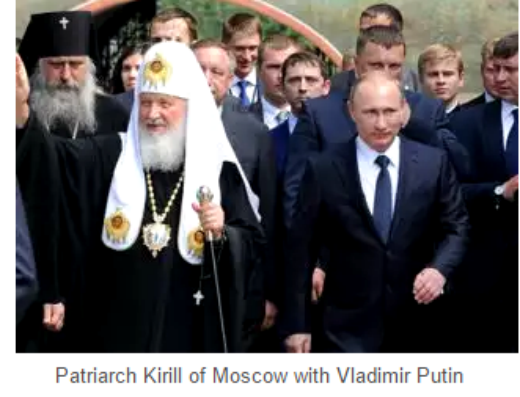 America is rapidly becoming the new Soviet Union, while under Putin’s direction the new Russian Republic is experiencing a complete rebuilding of the Eastern Orthodox Christian Churches and Christianity. Putin has formed a strategic partnership with the Russian Christian church and is creating an environment where it can flourish. Why would he do this? Because he believes that in order for Russia to become a strong, successful nation, the people (especially the young folks) need to be morally upright. This same pattern occurred when Mao and his communists took over China after WW2. Mao and his cronies had been placed in power by the same secret group that built up and supported placed Lenin and his Bolshevik Communist cronies, a small western-based group that had unlimited support from the City of London Rothschild private Fiat Bankers and their American franchisees, the large Wall Street banks. This pattern of communist puppets, well-financed by these Western banks run out of the City of London, is well-established; and the pattern has occurred in Russia, China, Vietnam, Laos, and Cambodia. In each case, the Christian church was first outlawed, the clergy and members were either persecuted or mass-murdered, and their assets stripped and put into the pockets of a small number of communist leaders. The folks who created Bolshevism intended to take it westward from Russia, and then eastward too, and eventually eradicate Christianity from the whole Earth. This was always their main motivation for deploying Bolshevist Communism and any kind of major, state-based totalitarian socialism, even in kinder friendlier forms. The socialism rolled out in Europe and Scandinavia was designed to only serve as an intermediate step to be quickly dissolved by the massive, repeated deployment of false-flag terror, which is what is happening now with all the importation of radical Islamics, many of whom have been mind-kontrolled. The folks who started and ran Bolshevism have planned to deploy this same playbook here in America, as soon as they are able to do it. 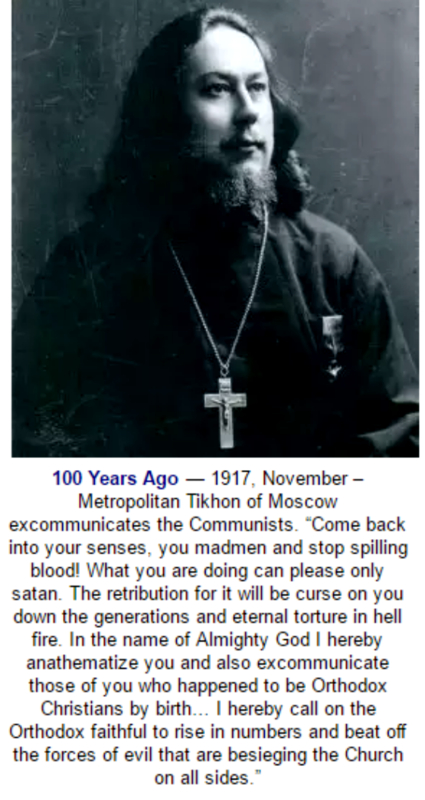 After their incredibly successful acquisition and asset-stripping of Russia in 1917, and complete neutralization of the Russian churches, and the mass murder of almost every Christian priest and Christian believer, the Bolshevik Communists planned to move westward and repeat this process in every single European nation. It was the Nazis that stopped their advance. But after WW2, the same private Western Banks run out of the City of London continued providing massive support to these Russian Communists, and began plans to take America down that same road, using socialism as an initial entry point. The leaders of these large western banks who were supporting Bolshevism (Communism) all over the world secretly, began a long-term program to transform America into a socialist state, with an ever increasing centralization of power. They have used the war on drugs and other actual shooting wars that they have engineered by deploying false-flag attacks, as in the Gulf of Tonkin, which was later admitted by then-Secretary of Defense Robert McNamara to have never happened as reported. These engineered shooting wars since WW2 (including Korea, Vietnam, and all the Mideast wars) have been completely illegal, unconstitutional, undeclared, unwinnable, perpetual and have been a great means to generate huge profits for the banks, the defense contractors and the 66 families that own their major blocks of stock. The bottom line to this series is: the folks who started and supported the Bolshevik Communists’ takeover in Russia whose first task was to destroy the Christian churches, and murder the Priests and all Christians are now deploying the very same playbook here in America; but they are doing it slower, more progressively and just as well-financed. Why would any Christian believe this group who runs the big banks and has financed Bolshevism would not follow through with their plans to progressively eradicate Christianity from Planet Earth, which includes here in America? For the last 500 years there has been a secret plan deployed against Christianity to eradicate it, and in the last 100 years great progress has been accomplished in this goal. 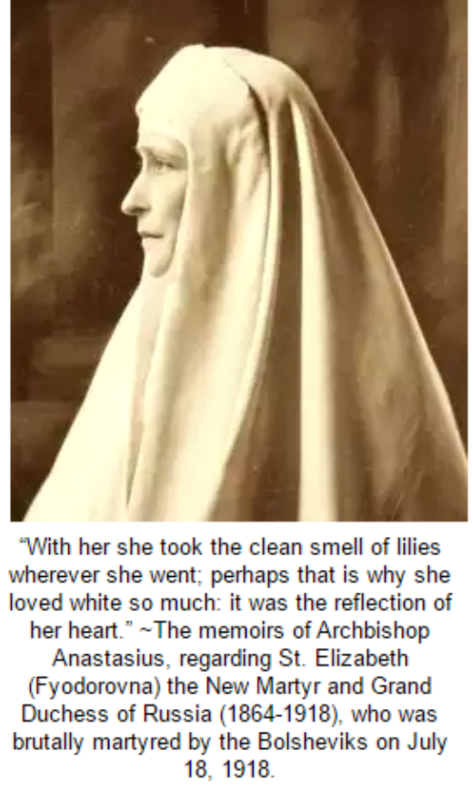 In this article you will learn what the origins of this long-term, secret plan to destroy Christianity are, why they developed in the first place, what secret occult group is behind it, and what this secret plan is comprised of. You will learn how far this secret plan has advanced in the last 100 years and what must be done to stop it before all Christianity is eradicated from planet Earth. You will learn how this plan is just the first stepping stone to eradicating any an all religions and moral standards from Planet Earth in order to transform humanity into a humanistic society based on moral relativism that is, situational defined morality with no absolute moral standards of right and wrong. And this is all being done hidden in plain sight, without most Christians even being aware of what is being taken from them. And it is being done subtly by influencing the doctrines of American Christian Churches to conform to a false doctrine that upon first consideration seems reasonable, positive and even appears to be true. This is the false doctrine of Christian Zionism, the belief that Jews should return to the Holy Land and re-establish ancient Biblical Israel, which was the source of Jesus Christ and Christianity in the first place. There are numerous problems with this ideology that most American Christians just do not understand. Before we dissect the ways this ideology is seriously flawed and harmful, first we must understand it. Typically most American Christian Churches teach that, since Jesus was a Jew, the source of Christianity and therefore Jews today, especially those in Israel, are our brothers and sisters – part of the same family – and deserve support no matter what. This ideology extends to the typical Christian belief that Israel as a nation-state must be supported, no matter what, and that it is okay for Israelis to take land from the Palestinians to build new settlements, since supposedly God gave it to the Jews in the first place, and it is their ancestral right. 1. A recent peer reviewed genetic study from John Hopkins by a Jewish MD showed that approximately 97.5% of Israeli Jews living in Israel have absolutely NO Hebrew blood at all and are from ancient Khazaria in Eastern Europe, now the Ukraine. And some were called Ashkenazis and ARE NOT Semites at all, while approximately 80% of the Palestinians have ancient Hebrew blood and are true Semites. This has secretly been admitted to in the highest echelons of the Israeli government and was leaked in a largely ignored article. 2. 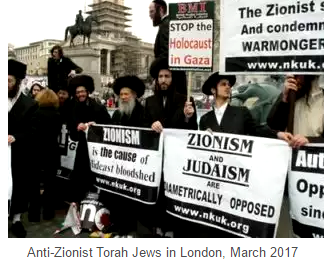 Zionism originated as a secular Judaic social movement and most Orthodox and hard-core Torah (Old Testament Judaics) do not accept it as true and believe that the resettlement of Israel by the British Balfour proclamation beginning in 1947 was wrong because it was un-scriptural. 4. The Bible refers to Israel as God’s Chosen People as a genetic group, which were called the Hebrews, but He divorced them for their continued sin and lack of repentance and the promised land he gave them was called Palestine. After God divorced the Hebrews who had been His chosen people which He selected to use to reveal his very presence to the world, he grafted in the gentiles to become his new Chosen People according to New Testament bible scripture, while promising to maintain a remnant of Hebrew to bring forth later and once again reveal Himself to. 5. When God divorced the Hebrews, the tribes split up from one nation into two, the northern ten tribes which were called “Israel” and a separate nation of the remaining two tribes called Judah, since that part of Palestine was called Judea. After Jesus’ crucifixion, the Roman Caesar ordered the Hebrew nation and their Temple to be destroyed because of their continued rebellions. The Hebrews scattered and migrated to many places all over Europe. 6. Committed Torah Judaics reject the Babylonian Talmudism, the Kabbalah and other mystical texts and declare the Torah (Old Testament of the Bible to be Supreme) and follow it, often to the letter of the law. Because they do not accept Jesus Christ (who was of Hebrew blood) to be their messiah, they are still awaiting the appearance of the true messiah and do expect him to come. 7. When the Hebrews were captured by the Babylonians and taken into captivity, a small select group of their top, elite leaders had started worship the Babylonian God Baal, and became involved in the worship rituals, which provided them with strange mystical powers. When their captivity ended, these secret Black arts of Baal-worship were continued by a small group within the top Hebrew religious leaders, who were called the Pharisees. These black occult arts were practiced in secret, because otherwise the practitioners would have been exposed and executed by their own fellow Hebrews and the Romans, who occupied Judea. 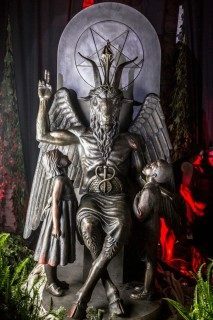 This practice of the black occult arts of Babylonian Talmudism (secret Baal worship) involved periodic child sacrifice to the false-god Baal, and in return these practitioners of the black, satanic arts received power over the masses, riches and status. 8. 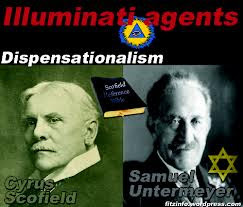 This satanic cult of Babylonian Talmudism was practiced by the few top leaders of the Nation Khazaria very secretly. Khazaria had become a very evil nation because its leaders were so evil, due to their secret worship of Baal and their secret Child sacrifice to Baal. They had become known as a nation of crooks, con artists, road robbers, murderers and identity thieves. Their crimes against travelers and those living near their border became so frequent and so outrageous that the Persians and Russian leaders threatened to destroy Khazaria if the ruler did not select one of the Abrahamic religions as the national religion for Khazaria. Khazarian King Bulah then responded and accepted Judaism as the official Khazarian religion. He did this because historically a small group of Pharisees had secretly practiced Babylonian Paganism (Baal worship) while hiding behind their official roles as Pharisees (leaders of the Hebrew Synagogue in Judea (Palestine). 9. The fact that Khazaria as a nation began to practice Judaism as their national religion did not in any way cause the Khazarian people to clean up their act. Their crimes continued, and eventually the Russian Ruler ordered their destruction. Before this happened, the top Khazarian leaders who practice this satanic Babylonian Talmudism escaped to other European nations and took the vast wealth with them, which they had accrued as the leaders of a large organized crime theft, robber ring they ran in Khazaria. As incredulous as it seems, these Babylonian Talmudics had actually “sold their souls to Satan” by making a blood contract with Satan in order to receive vast wealth, vast power and great social status. The Khazarian leaders kept these black arts within their family systems and shared them only with certain selected initiates who were also willing to sell their souls to Satan and go through certain initiations. 10. One thing that these top Khazarian Babylonian Talmudic Satan-worshipers have been known for is their total commitment to revenge. These family lines (called “the Bloodlines”) have maintained a strong commitment for revenge against both Russia and Persia. 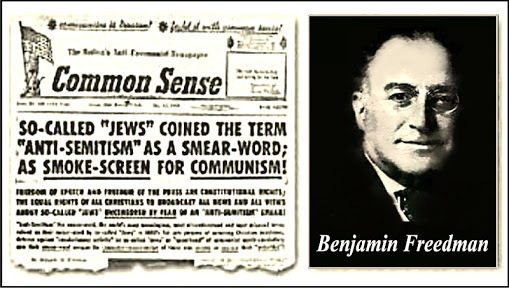 This revenge was first enacted against Russia in 1917 by the creation of Communism, done by the Babylonian Talmudic City of London Rothschild private central bankers and the large wall street banks supporting Bolshevism. The first acts of Bolsheviks when invading Russia in 1917 were to destroy the Christian Churches and murder the priests. They felt this was essential to taking control of the whole nation and viewed Christianity as a complete enemy of their collective, communist state and therefore made it illegal. 11. Ever since they took control of the money creation and distribution of most major nations, including America, the Babylonian Talmudists have practiced the ancient, secret Babylonian Talmudic black art of making money from nothing by charging people to use their money and charging pernicious usury, which is illegal in the Bible. 12. Because this small group of these Satanic Babylonian Talmudic leaders, who were the “money-changers” of the modern world, could create all the money they wanted, they have been able to buy up almost every single politician and government official and have been able to set most, if not all, US Governmental policies and control Congress. 13. Because these satanic Babylonian Talmudic Money-changers were presenting themselves as Jewish to maintain cover, they quickly learned they could con American Christians and most Judaics by claiming to be God’s chosen people and manipulating the British Government in 1947 to declaring that the land of Palestine was to become Israel, the rightful land of the Jews. 15. These very powerful Babylonian Talmudics run a very large but secret worldwide satanic cult network today and are also best referred to the Synagogue of Satan. But let us be clear that this is a very small group of evil cult leaders who have enormous power and influence over many governments of the world, including the US Government. They have infiltrated most large American churches by disguising them as sheep, but are actually ravenous wolves hard at work to misdirect Christianity and make it powerless and cause it to shrink in numbers. These satanic cult leaders are crafty and have conned many Jews into believing their lies that Judaics have an ancient blood right to own and occupy the land of Palestine. 16. Anyone who studies the facts will quickly conclude this is an enormous lie and a crafty deception originating from Satan himself, designed to deceive. Anyone who criticizes the modern-day Zionists, most of whom are Khazarians and thus NOT of ancient Hebrew blood, are severely criticized and accused of being anti-Semitic. How can someone be accused of being anti-Semitic if those they are criticizing are not even Semites because they have no Hebrew blood and are actually of Khazarian bloodline? This irrational, false accusation of anti-Semitism leveled against anyone who criticizes any Jewish person (most of whom are secular Khazarian Judaics) or criticizes Israel is instantly leveled, with the notably false charge of being anti-Semitic. Normally any discussion of how the Babylonian Talmudic Khazarian leaders became the modern-day Synagogue of Satan is prohibited, because these leaders of this worldwide Satanic Network use their spokesmen to immediately cry “you are an anti-Semite”. Then they claim that any such continued criticism will result in new persecution of the Jews. In many nations, it is a crime to even criticize the Jew or any Jewish issue for any reason. Actually, the term “Jew” was not used until about 750 AD and became associated with the secular practice of Judaism in Khazaria. The Khazarian leaders during this period were very aggressive and have passed their evil practices down through their bloodline, and also to new recruit bloodlines they have initiated into their secret satanic cult. 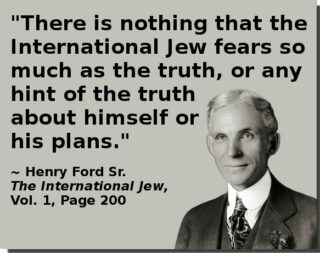 This kind of aggressive lie imposed as a muzzle on any discussion of the reality of the existence of the secret Babylonian Talmudic cult also known as the Illuminati, the Synagogue of Satan, the Black Sun, the order of the Snake, the Olympiads, and many more, has prevented any open honest discussion within the American Christian Church. This must change. And here at Veterans Today, we are committed to open source Intel and telling it like it is, letting the chips fall where they must. It is high time the American Christian churches wake up, face the truth about the age-old secret Babylonian Talmudic plan to destroy Christianity. This means American Christians must realize that they have been falsely indoctrinated with Christian Zionism and stop allowing a secret satanic cult to neutralize the Gospel of Jesus Christ and prevent them from presenting the true Christ the way that Jesus lived it, as our saving grace and the certain means to peace, joy and an eternal life. The bottom line is this. The same secret group of the world’s most power financiers, a secret group of a small number of the City of London bankers and their stateside franchisees of the largest Wall Street Banks are still hard at work and deeply committed to eradicate Christianity and Christians from America. These Babylonian Talmudics are in the process of secretly rolling out this same plan here inside America, and it is up to all Christians and anyone who believes in freedom of religion to stand up and stop this sinister plan, which is best described as political correctness, diversity, open borders and the destruction of a common American language (English) and a common American culture. We must all work together to defend Christianity from eradication. It is now time to work together to expose these Babylonian Talmudics and their evil satanic playbook in order to do this. Editor’s note: Christians and others “who don’t want to go to ‘the dark side’” be forewarned. St. Louis police have bought Israeli Skunkspray, which contains a strong, lingering odor that can camouflage biological, chemical and nanotechnology weapons to be deployed against citizens. Anyone who imagines this is only going to be deployed against “someone else who caused a problem” is deluded. Turn the knob and play video at 1.25 speed. Hover In Place: In addition, certain streetlamps or town landscape watering systems are fitted with small sprayers and WIFI to detect a pre-identified, nano-GPS tagged person as they approach on the sidewalk, deploying a “surgical strike” on the individual and anyone who happens to be around them. What is being sprayed is unknown.